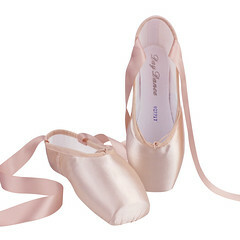 When I first saw this photo, I was really impressed with the lovely shade of pink satin these shoes come in. The photo itself has a creative flair. 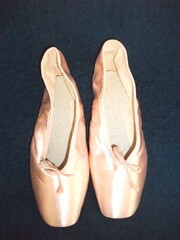 The shoes are displayed as though they were a gift, a beautiful present to open. Researching this particular model led nowhere. I searched for any kind of commentary or review, but didn’t find anything. 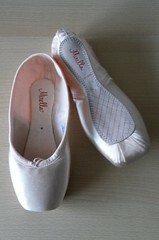 The shape of the Maria is quite square and angular. 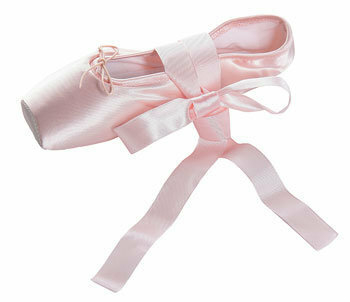 For anyone who really loves baby pink, this pointe shoe would be ideal. The Anna model looks extremely square in an odd kind of way. 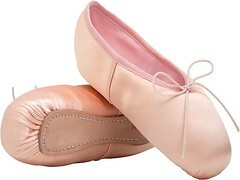 There is a box- like quality to the shape of this shoe that is very unique. 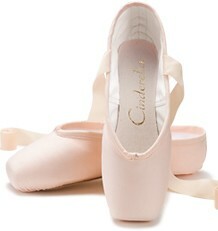 This model must be ideal for those who have a square shaped toe area and can’t tolerate any type of tapered box. This design is the exact opposite of the Traditional Russian style tapered box. The Anna model is also very different from the Maria in color. 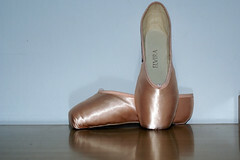 Again, I was unable to find any comments, reviews, or specifications about this shoe. 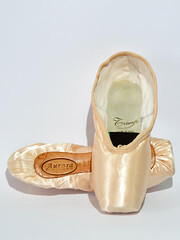 * Update 4/ 2019- Rumpf has discontinued making pointe shoes. The exact date of that decision is unknown. 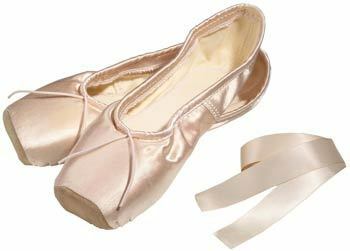 This entry was posted in Discontinued Pointe Shoes, Mystery Pointe Shoe Brands and tagged Pointe Shoe Brands, Pointe Shoe Images, Rumpf Anna, Rumpf Maria. Bookmark the permalink.